The drag-and-drop editor means you don't need coding experience to build a beautiful, modern and mobile-responsive web experience. 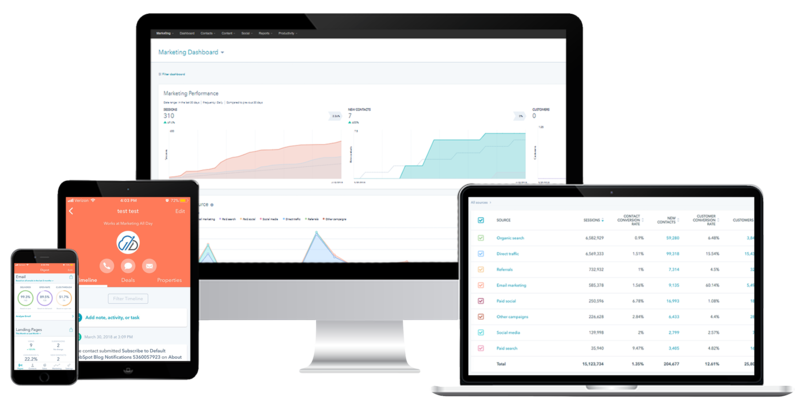 Choose from easily customizable templates and modules that are built for conversion. Make a great first impression by really helping companies see why you're the payroll company for them and how you're different than the competition. Your website shouldn't just be a brochure for referrals, it should bring in new prospects looking for payroll, HR, and related services in your target market. Use built-in blogging and Search Engine Optimization (SEO) tools that will help increase web traffic and visitors from Google, Bing, and other search engines. Create conversion paths that intrigue visitors and turn them into known leads with easy-to-use forms, call to actions (CTAs), web-popups, and much more. Segment leads by different demographics or psychographics to create messages that resonate with the personas that make up your ideal prospect. Create campaigns with targeted messages at the right time, which promote offers like webinars, white papers, product videos, case studies, or discounts - the possibilities are virtually endless. Distribute those messages throughout email, social media, and pay-per-click (PPC) ads, which help sales reps only call on prospects interested in your payroll or HCM offering. 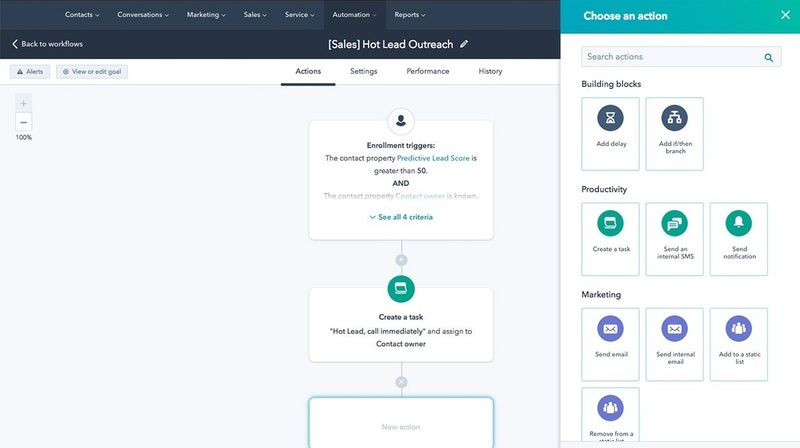 It takes an average of 7 touches before sales can connect with a prospect, this is where marketing automation really shines. 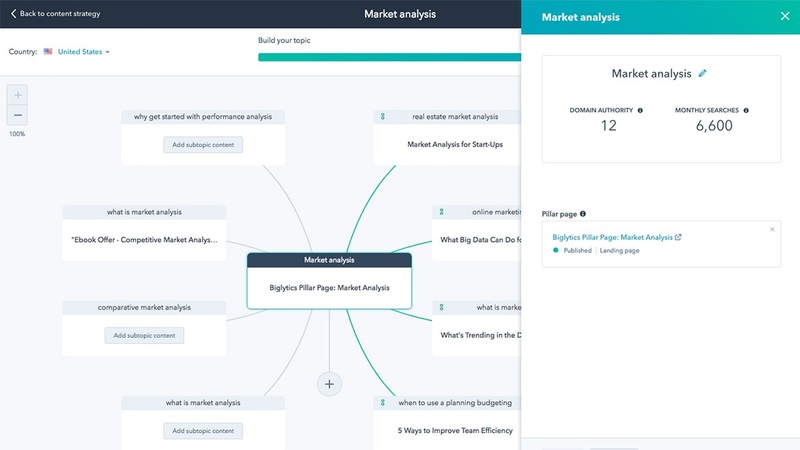 Leverage analytics to monitor and track prospect actions that trigger the perfect automated response workflow for prospects at any stage of the HCM buyers' journey. Send emails, update CRM properties, create a notification or task, assign or rotate leads, add new deals, or design other types of workflows. The only limit is your imagination. 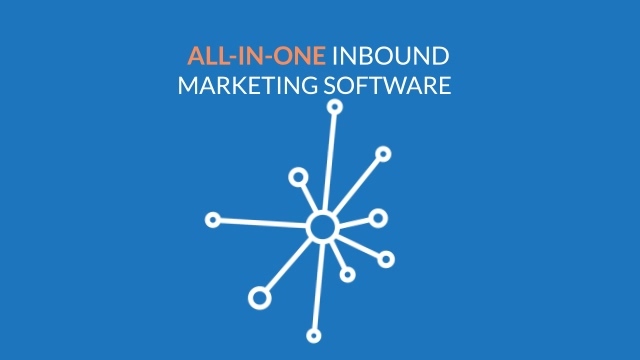 Marketing Automation allows you to take your prospects on a Choose-Your-Own-Adventure story throughout their entire buyer's journey. Use the built-in Content Management System to design beautiful websites that look great on all devices - no coding experience required. 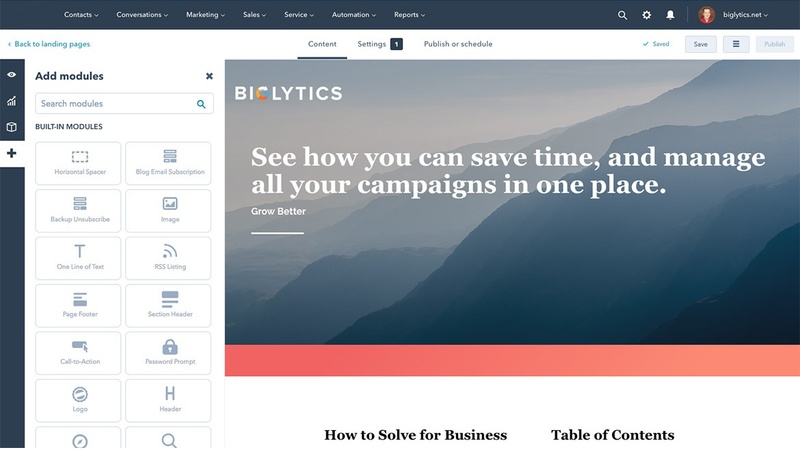 Everything you'd imagine in a cutting-edge email marketing solution: stunning templates, personalization tags, A/B tests, and much more. Create and schedule posts, monitor for payroll / HR conversations, and report on activity across Facebook, Twitter, LinkedIn, or other platforms. As-you-go optimization shows you how to get your web content ranked by search engines for HCM-related keywords prospects search for. Increase conversion rates and optimize your ad spend with landing pages that feature hyper-specific content about a particular offer. 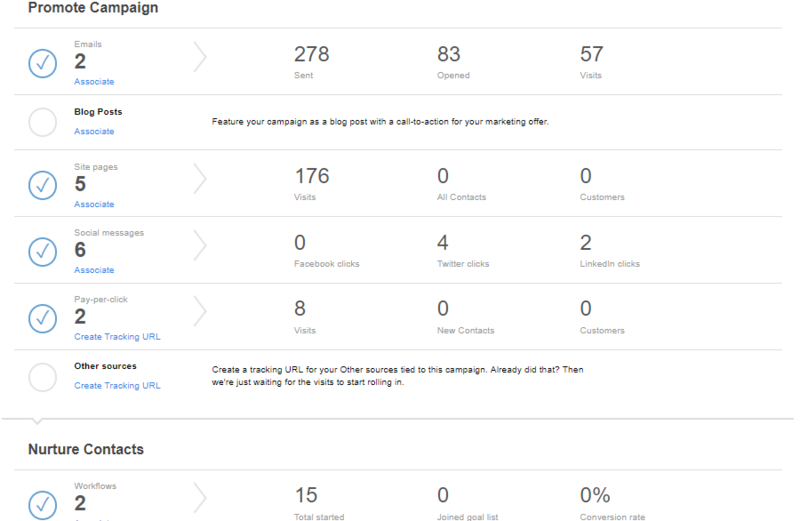 No more guesswork, in-depth analytics provide insight on which marketing campaigns and efforts contribute most to your bottom line. Master the art of conversion rate optimization (CRO) by personalizing and testing landing pages, forms, lead flows, and chat bots. Consistently publish engaging content that brings visitors in and makes payroll and HCM leads come back for more.